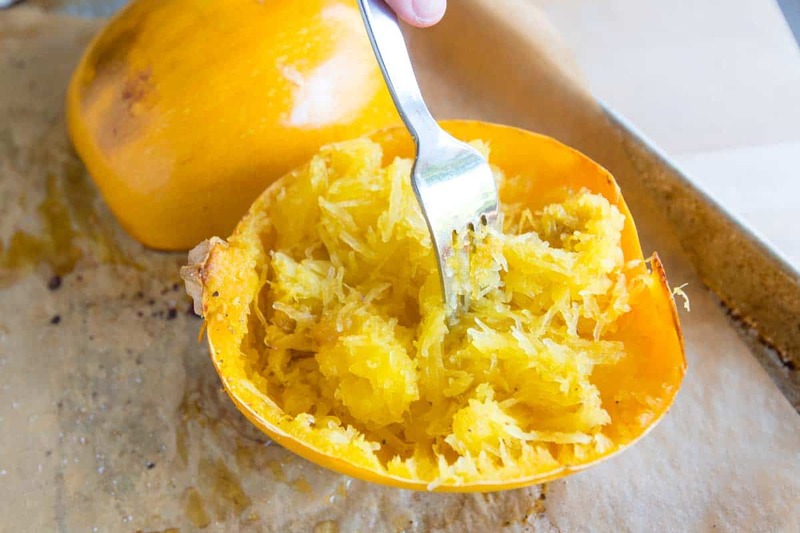 Here are all of our best tips for how to cut and cook spaghetti squash! Spaghetti squash is such a wonderful and versatile vegetable. Jump to the How to Cook Spaghetti Squash Recipe or watch our quick video showing you how we do it. We’ve got the trick to cutting spaghetti squash safely.Before you cook spaghetti squash, you need to cut it. Because of its hard shell, cutting through spaghetti squash might seem daunting. Don’t worry, though, it’s not difficult! What You’ll Need: You need a heavy chef’s knife, a towel to keep the squash steady as you cut (as well as to protect your hand), and a little bit of muscle power. You’ve got this! Use the towel to steady the squash. I like putting half of it underneath the squash so it can’t roll around on me. Then the other half sits underneath my hand so I can hold the squash firmly. Cut the squash from stem to end. Pierce the knife into the middle of the spaghetti squash and cut the squash from stem to end, but don’t try to cut through the stem (it’s way too tough). Use a dish towel to steady the spaghetti squash when cutting it in half. 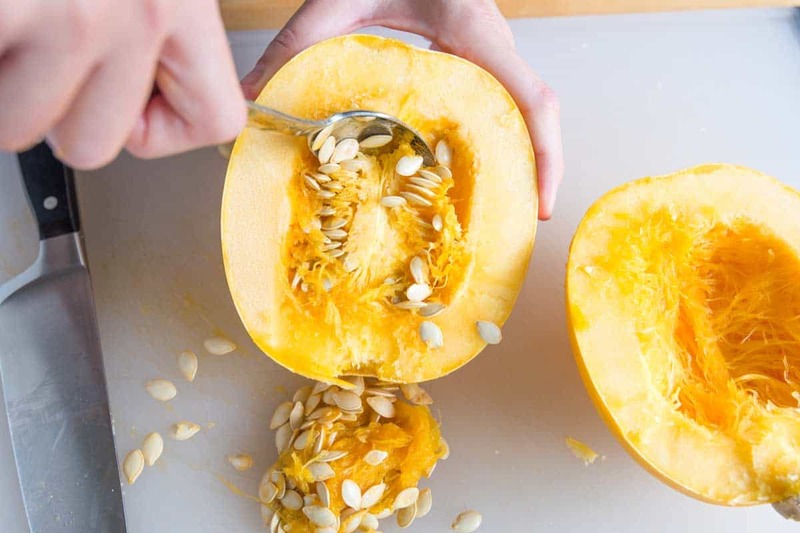 If the squash is too hard to cut through, here’s a trick to soften the shell: Pierce the squash in a few places with a knife or fork and score it where you eventually want to cut. Pop it into the microwave for three to four minutes. This little bit of time in the microwave helps to soften the outer shell, making it a little easier to cut. We don’t recommend microwaving a whole squash longer than that, though — steam will build up inside the squash and it could lead to a pretty dangerous situation. A few minutes should do it. When you’ve cut the squash in half, scoop out the seeds. If you’re a fan of roasted pumpkin seeds, you can use these to make something very similar. 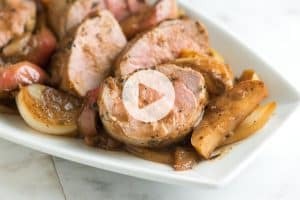 If you take a look in the notes section of the recipe, we’ve shared tips for how to roast them. Another way to cut spaghetti squash: If you watch the video above, we show you a second way to cut the squash. Instead of making squash boats, we cut it in half crosswise. You can see us do it around the 1:45-mark. You can use the oven or a microwave to cook spaghetti squash, but if we have the time, roasting in the oven is our favorite option since it develops the most flavor. Rub the inside of the squash halves with olive oil (or use melted butter). I also like to season with salt and pepper. This is also a good time to sprinkle on your favorite spice blend. 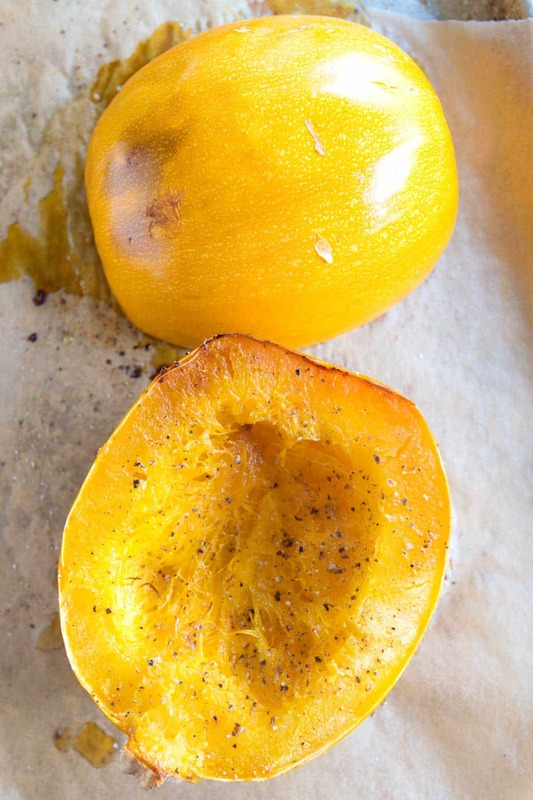 Place the squash halves cut-side-down onto a rimmed baking sheet. By baking the spaghetti squash halves cut-side-down, the edges caramelize and brown, which adds flavor. It also lets excess moisture fall away from the squash and onto the baking sheet. If you were to bake the squash halves cut-side-up, the liquid would pool in the middle of the halves. Bake until fork tender, but still a little firm. I like the strands to still have a bit of bite to them so we try not to overbake spaghetti squash, which produces a mushy result. Baking spaghetti squash in the oven is easy and develops the most flavor. Here’s one more tip for roasting squash: Sneak a few sprigs of fresh herbs under each squash half before you bake them — rosemary, thyme, sage, and mint are all excellent. What Is Best Temperature for Baking Spaghetti Squash? A 375-degree Fahrenheit oven is ideal, but adding or reducing by 25 degrees is fine. So if you have something else in the oven at the same time, there’s no need to worry about changing the oven temperature. Just keep an eye on the squash as it roasts and pull it out when it’s soft, but full a bit firm. Bake the squash for 40 to 50 minutes (at 375F). Keep in mind that the bake time will vary depending on how small or large your squash is. If you are looking to cook spaghetti squash quickly, the microwave is your answer. Microwaved squash can be used in place of roasted squash in most recipes. Whether we microwave or not is dependent on the time we are willing to wait. Baked squash is more flavorful in the end. The extra bake time also gets rid of a lot of excess moisture that the microwave doesn’t. That being said, if you are short on time, the microwave is your friend. Cut the squash in half, scoop out the seeds, and season with olive oil, salt, and pepper. Place the squash halves cut-side-down in a microwave-safe baking dish. Fill the dish with water so that it is about 1-inch deep. Microwave for 5 minutes, check the squash and continue to microwave for 2 to 5 minutes until the squash is easily pierced with a fork. Allow the squash to cool, and then scoop out the flesh with a fork. And there you have it, the best ways to cook spaghetti squash. Now it’s time to eat it! Make a burrito or taco inspired spaghetti squash bowl with cooked squash as the base topped with guacamole, roasted vegetables and black beans (like the filling for these tacos), pico de gallo or other favorite salsa, and cheese. Toss the spaghetti squash strands with melted butter, fresh herbs, and parmesan. Top the squash with this easy homemade meat sauce or for a vegetarian spin, use the sauce from this easy veggie spaghetti. How to cook spaghetti squash two ways: in the oven and in the microwave. For the most flavor, we love roasting the squash, but if you are short on time, use the microwave. 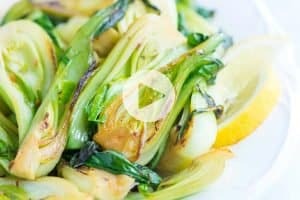 This recipe will make four side portions or will generously serve two as a full meal. Using a heavy chef’s knife cut the spaghetti squash in half lengthwise — see the notes section or our video for how to do this safely. Scoop out the seeds with a spoon and discard. Lightly drizzle the cut side of each squash half with olive oil, and then season with salt and pepper. When the squash is done, flip the halves so that the cut-side is facing up and allow to cool for about 5 minutes. Run a fork through the flesh to separate the “spaghettilike” strands/noodles. Microwave for 5 minutes, check the squash and continue to microwave for 2 to 5 minutes until the squash is soft and easily pierced with a knife. 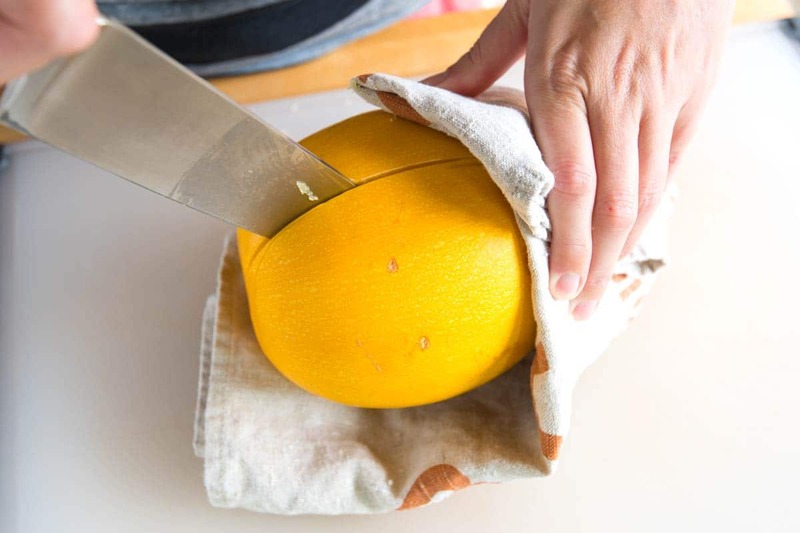 To safely cut spaghetti squash, you need a heavy chef’s knife, a towel to keep it steady as you cut as well as to protect your hand, and some muscle power. Cut the squash from stem to end, but don’t try to cut through the stem (it’s too hard). When you’ve cut through the squash, pull each half apart. How to Roast Spaghetti Squash Seeds: Remove pulp and fibrous threads from seeds. Simmer seeds in salted water for 10 minutes. Drain and pat dry. Toss seeds with olive oil and lightly season with salt. Roast in a 325 degree F oven for 15 to 20 minutes. The seeds will not change much in color but will crunch when done. Nutrition Facts: The nutrition facts provided below are estimates. We have used the USDA database to calculate approximate values. We omitted salt from the calculations since you will need to add to your tastes. We assumed four side portions. Yummy. I made it today while watching football. Served it with spaghetti sauce and ground sausage(just like I would have done with pasta) a big hit. Also lower in carbs and a healthier option. Ps. I am a Very picky eater. Love the easy to follow video. Made the spaghetti squash and it was great. I never made squash seeds before. They are delicious; perhaps better than pumpkin seeds. Thanks for sharing the instructions. I loved this. It was easy to make and delicious. Thanks for the easy instructions! I baked the spaghetti squash. It was delicious! I actually like it better than traditional pasta. Great! Thanks for the microwave tip! I went into Safeway desperate for a new vegetable. This recipe was spot on. The only difficult part I had was my knives weren’t sharp enough. It was really difficult to cut through the squash. I baked them for exactly 1 hour on parchment paper at 400. I only added salt and pepper and olive oil. It came out perfectly. Thank you! I am also on a low carb diet. Have lost 4 pounds so far. Gonna try making this tonight. Heart healthy eating habits is part of change. Thank you for your instructions, they were easy to follow. I absolutely loved how the spaghetti squash turned out. Putting it in the oven really gives the best flavour and keeps the spaghetti dry and easy to separate. YUM!! Made and served homemade meat sauce over it- so happy the whole family loved it! Turned out perfect! I baked it! We use the spaghetti squash like spaghetti, just pour on your favorite sauce and sprinkle with cheese! Lovely post. Wonderful with my homemade marinara. 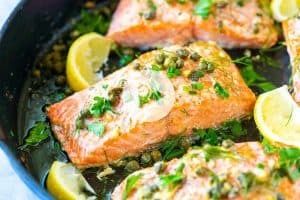 Is there a reason for simmering the seeds and not just roasting them? Simmering in the salted water helps to season them — like when cooking pasta. For long strands of spaghetti squash, cut squash width wise. Cut into rings to bake. Using a fork, gently rake the long spaghetti strands out of the squash. Just tried the oven method. Came out awesome. Not too crunchy, very tender. I tried spaghetti squash once and hated it because I didn’t cook it right. Decided to give it another shot with this method. Glad I did! I used salt, italian seasoning, and garlic powder. Was more tastier than regular spaghetti. Thanks for sharing this method!